Adsafe Doors has been servicing and repairing Aluminium Sliding Doors and Timber Sliding Doors in Sydney since 1992. We are fully licensed to do so by NSW Department Fair Trading, Licence Number R95567. We have hundreds of satisfied customers right across Sydney from the Blue Mountains to the Cronulla and the Northern Beaches to the Eastern Suburbs. Repairing and Servicing Aluminium Sliding Doors in Sydney has meant we have developed individual door repair techniques for every aluminium and glass sliding door system in Sydney. We are well aware of all the varied and different problems these brands of doors are likely to have. In fact, we repair hundreds of Aluminium Sliding Doors for our customers in Sydney every year. Below is a list of 52 Sliding Door Brands of manufacturers of Aluminium & Glass Sliding Doors and some Timber Doors that have been supplied and fitted in Sydney over many years. Some since the late 1950’s. Can you identify your sliding door? Or do you know what brand of door you have? 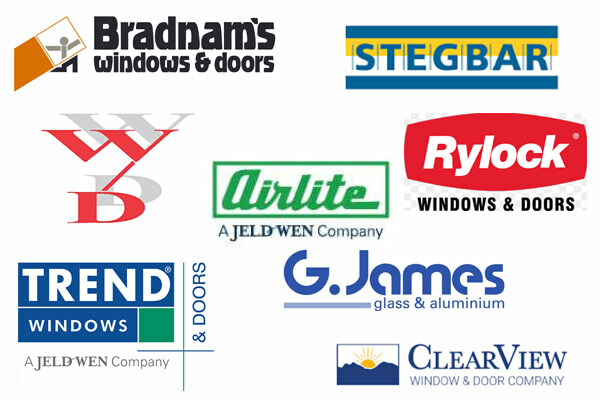 Over many years, Adsafe Doors have been successfully servicing and repairing Aluminium and Glass Sliding Doors, our tradesmen have acquired invaluable firsthand experience with all of these 52 brands of Sliding Doors. It is very common for people to continue to use their door with damaged and worn rollers which always results in damage to the track. If worn rollers are not replaced at this point, the resulting damage to the track will only cause premature wear to any new rollers installed. In most cases, this damage to the track can be repaired on site by first, machining the track and then precisely fitting a replacement track. Adsafe Doors have been able to enable hundreds of our customers to be able to use their Sliding Doors with ease of closing and opening no matter what the brand. Click play on the video below to see a before and after. Through quality servicing, we have been able to bring back to life many of our customers tired and worn-out old Sliding Doors making then better than what they were when new. That’s our goal for you. You should be able to open and close your Sliding Door with ease. We have had to develop specific methods of repairing each different brand of door. With many older doors, replacement rollers are not made by the door manufacturer anymore. They are made cheaply overseas and therefore don’t last the distance not even a reasonable time. Similarly, the rollers made on newer doors are also made cheaply overseas and don’t last. Most of the above listed brands of aluminium sliding doors, and in particular more popular brands of doors like Bradnam’s, Trend, Wunderlich, Clearview, Comalco and Airlite sliding doors can be brought back to life successfully by machining the track, attaching a new track and then fitting a pair of tandem stainless steel rollers to the door. You need to be careful if you are considering cheap sliding door repairs, as you get what you pay for. Machining the track is very important in the repair process. Since all the irregularities like corrugations, scratches, scores, flat spots and dents have to be removed so that the attachment of new track will be successful. Click play on the video below to see the process we undertake when installing a new custom stainless steel track. In summary, we use our selected Rollers and Tracks and follow the strict guidelines we have perfected over many years to repair your Aluminium Sliding Doors so as to achieve the ideal result. If your Sliding Door is noisy then your rollers could be in the same bad condition or even worse than the roller in our image on the right. You will notice that only part of the roller is left. So please feel free to call us on 0417 464 743 to discuss your Sliding Door problem and book in a time for us to service your door. Adsafe Doors guarantee that your door will slide better than new. 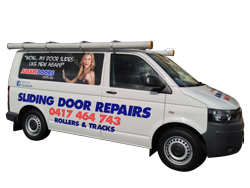 We have a proven track record over more than 20 years of Door servicing in Sydney that is second to none. The video below shows a typical repair to a popular Aluminium & Glass Sliding Door from start to finish. The door could really be any brand of door listed above. Likewise, the result in the Video is typical of what to expect. This video shows the repair to a Clearview Aluminium Sliding Door, which is very popular in Sydney. The whole procedure for the repair is shown from arrival to completion and testing. The door is just impossible to move because the rollers and carriages have completely collapsed and will not move. Because the rollers and carriages have collapsed so badly onto the track, the track has become badly damaged. After the repair where we fitted the new rollers and carriages and then fitted a suitable replacement track the video goes on to show how the door slid better than new, the door finished up Sliding and locking perfectly. 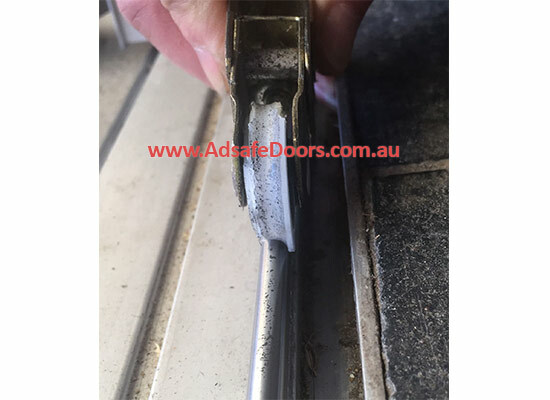 This is a typical repair, we got an excellent result with this door which is the most common type of Sliding Door Repair in Sydney and our customer said “wow my door slides like new again”. So, there you have the common sliding door brands in Australia. And yes, we have seen every single one of them and have processes in place to repair them all.